Three personnel of Metropolitan Manila Development Authority (MMDA) were dismissed while 23 others were suspended due to various offences, MMDA Chairman Francis Tolentino disclosed yesterday. Tolentino said the three dismissed personnel of MMDA Traffic Discipline Office, whom he declined to iidentify, have been involved in extortion or mulcting, grave misconduct and gross neglect of duty. 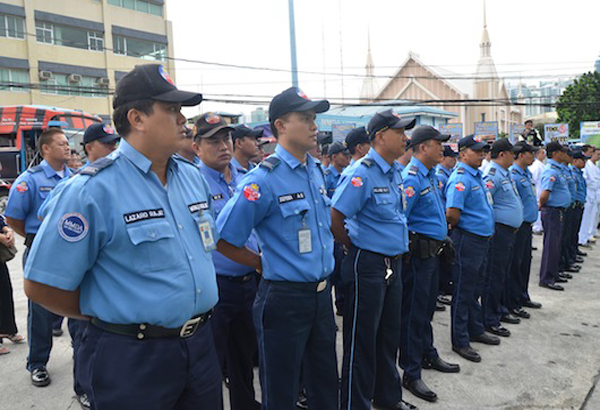 The 23 others were suspended ranging from 15 to 90 days due to involvement in extortion activities, questionable issuance of traffic violation receipts, misconduct, grave abuse of authority, insubordination, violation of office rules and failure to attend their monthly formation. Tolentino also disclosed that at least 50 others are set to be issued warning and reprimands due to various violations while complaints were formally filed against others. He said due process was observed in the dismissal and suspension of the personnel while those whose complaints are still being heard could also expect the same before a decision will be rendered. Tolentino urged the public to continue to be vigilant and file their complaint against erring MMDA personnel stressing that MMDA will not hesitate to penalize or castigate them. He, however, said the agency would also be generous enough to acknowledge and recognize personnel who were true to their sworn duties.